The fifth edition of the IAAF World Youth Championships concluded here in Ostrava after five days of exciting competition and thrilling head to head duels. Three World Youth bests were set, the most impressive performance coming from American William Wynne who ran a phenomenal 49.01 in the Boys 400m Hurdles an improvement on the previous best by a huge 85 hundredths of a seconds. In the Boys 110m Hurdles American Wayne Davis shove four hundredths of a second off the previous standard as he cruised to the line unchallenged in 13.18. In the Girls 5000m Race Walk, defending champion Tatyana Kalmykova of Russia smashed her own Championship record and improved the World Youth best to 20:28.05 to become the first ever youth athlete to defend her World title. There was another title defense here in Ostrava courtesy of Romania’s Bianca Perie who was the champion not only in Marrakech 2005 but also in Beijing World Junior Championships last year where she was the youngest in the field! Perie was well off China’s Wenxiu Zhang World Youth best of 70.60m but she nevertheless improved on 2000 Olympic champion Kamila Skolimowska’s Championship record with 64.61m. In total 11 Championship records were set. 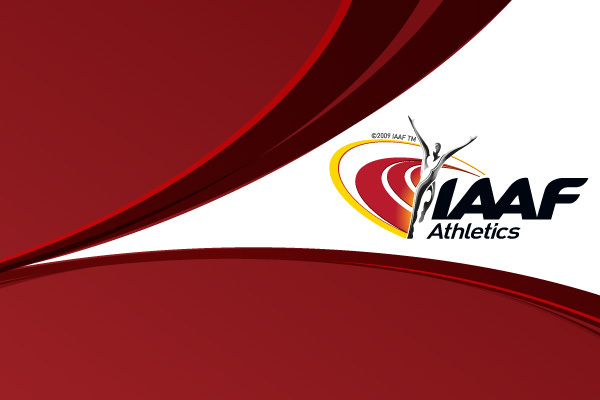 The list includes in addition to Wynne, Davis, Kalmykova and Perie, Discus Throw champion Mykyta Nesterenko of Ukraine, Russians Stanislav Emelyanov in the Boys Race Walk and Darya Klishina in the Girls Long Jump, Nico Weiler of Germany in the Pole Vault, Kenyans Mercy Cherono and Caroline Chepkurui Tuigong in the 3000m and 2000m Steeplechase respectively and Pole Vaulter Vicky Parnov of Australia. Wynne was the most medalled athlete of the competition having won gold in the 400m Hurdles and the Medley Relay and silver in the 110m Hurdles. No fewer than 22 World leading performance for 2007 were set throughout the five-day competition. A record number of 41 countries featured in the Medal Table with hosts Czech Republic, Brazil and Barbados nailing their first ever World Youth gold, for Barbados it was the first ever gold in all age categories. Ostrava was also a first for Azerbaijan who had never a won a medal in the previous editions of these Championships but netted a superb silver medal with 200m runner Ramil Guliyev. The United States topped the medal table with 14 medals (7 gold, 4 silver and 3 bronze) with Kenya in second with 11 medals (6-4-1) and Russia in third with 10 medals (4-3-3).